W1343SB2 - AUSTRIAN CRYSTAL "GRANDMA"
Exclusively Ours! Lead, Nickel & Cadmium Free!! 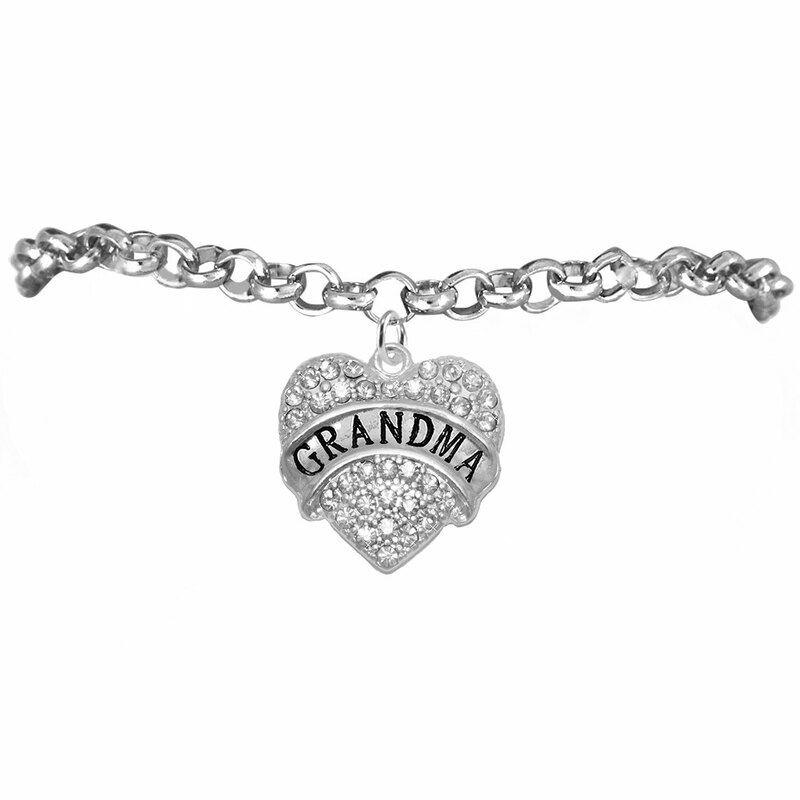 Silver Tone Genuine Austrian Crystal Covered "GRANDMA" Heart Charm Comes On Chain Link Lobster Clasp Bracelet.